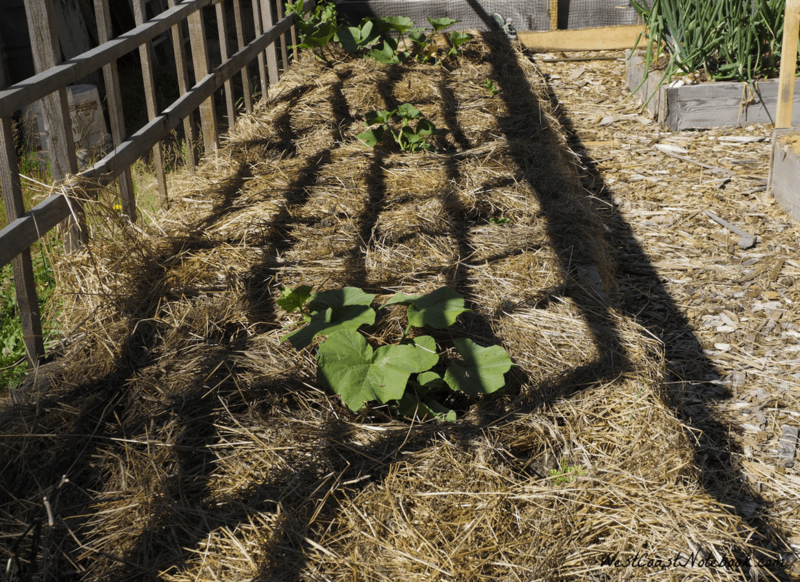 Improving the soil in raised garden beds is an ongoing process. 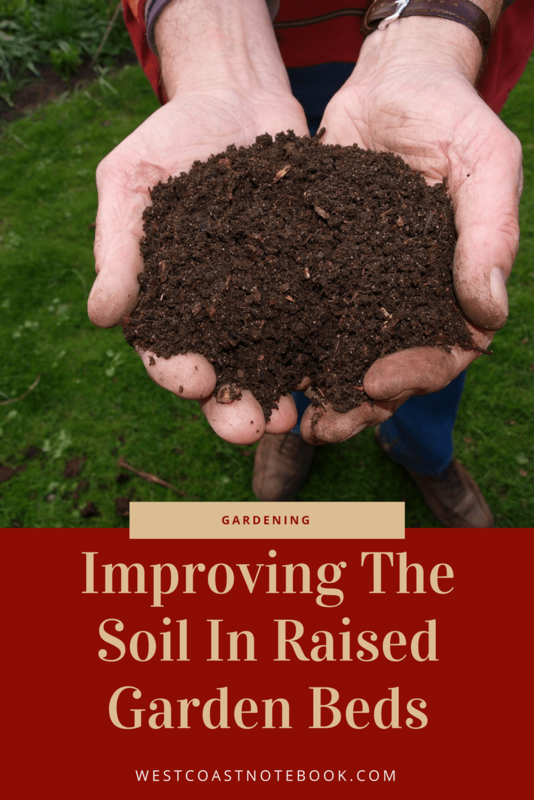 I have been gardening for a number of years now and am always looking for new ways to make the soil better. 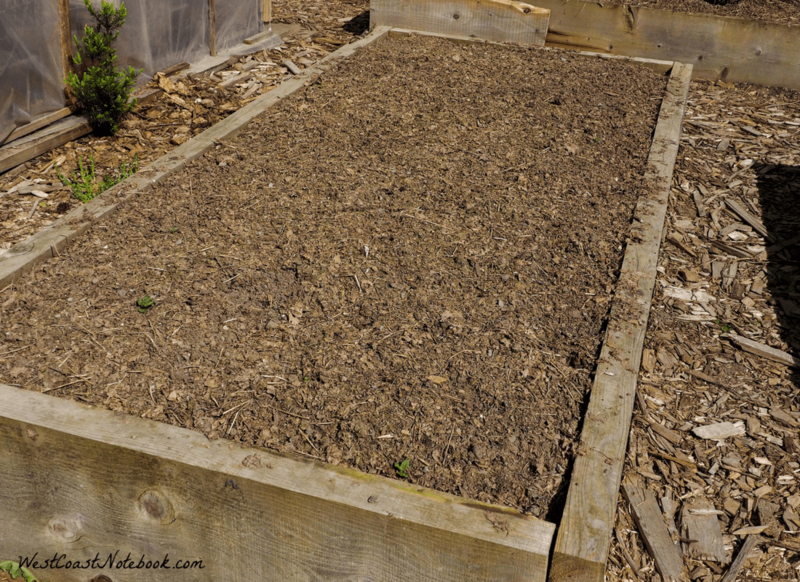 Using raised beds I find it so much easier to garden than the traditional in-ground garden. 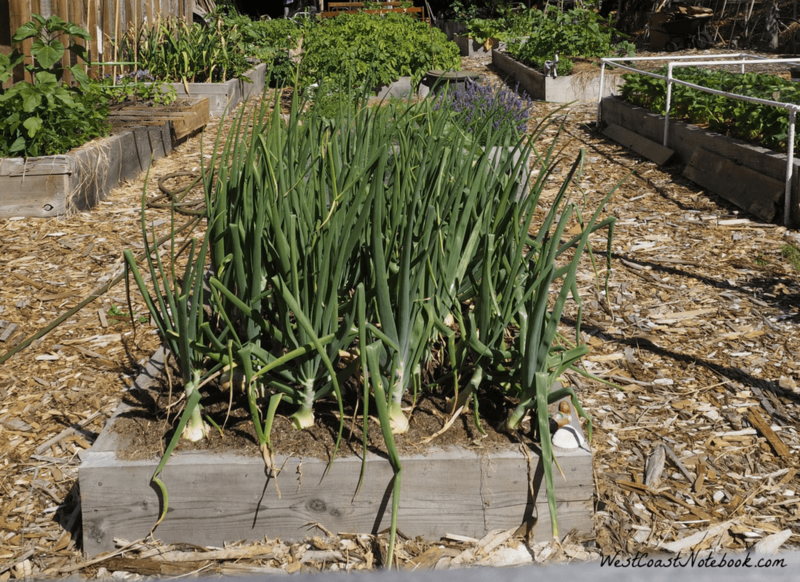 The type of raised beds I’m referring to are the ones that are contained within walls, not ones where you just make a raised bed by created a row of piled soil. In my case, the beds are made of lumber approximately 5′ x 12′ and there are 15 of them. For a couple of my beds, I have planted blueberries. In those beds, I keep the soil very acidic with sawdust, woodchipping and forest droppings as that is the type of soil that they like best. In one bed due to some tainted seedlings that I purchased the soil ended up with bad nematodes that caused root knot. But, due to it only being in one bed it was able to be contained. For my strawberry bed, I mulched with sawdust which keeps the berries clean and the soil moist underneath. 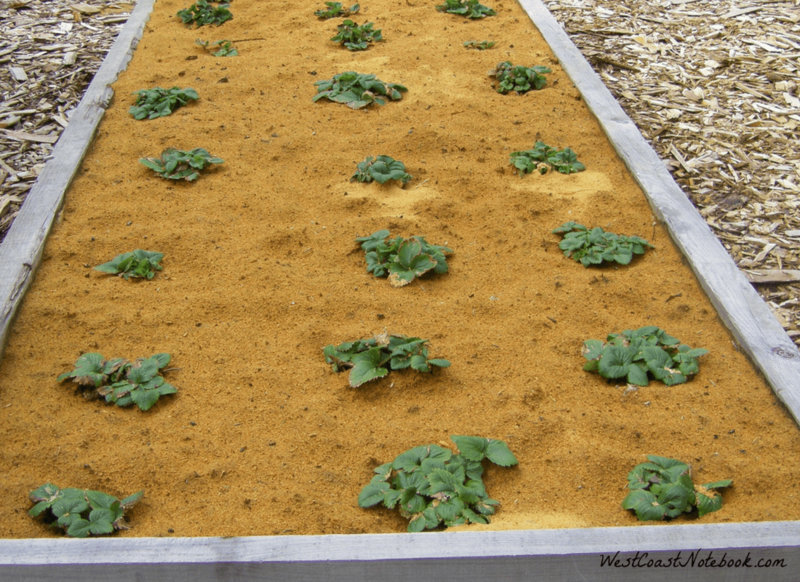 If planting root vegetables, some additional sand can be added to one bed and I can experiment with different beds. If you are getting ready to plant the first thing I would advise is to test your soil. Here is a post I wrote about it if you are interested. This will let you know what sort of improvements your soil needs and you can adjust according. But… if you are just going for overall soil improvement, here are the basics. First… if you are doing organic gardening then try and get all organic additives. The following items are good to add into your soil just before planting. and depending on your soil, you might need to add some additional lime to sweeten the soil (best to do this in the fall. Three things I recommend doing throughout the growing season and I switch them up to give the plants a boost. Quick, easy and cheap. It works best if you water right on the leaves as it helps the plant produce chlorophyll. Just add 1 tablespoon of epson salt per gallon in a watering can or if you are using a hose-end sprayer use 1 1/4 cups in 20 gallons. This is a great additive to your garden and I make it in a garbage pail but if you have a smaller garden you can make it in a bucket. Some people say there is an exact ratio to follow of compost to water, but I just fill up the garbage pail with about 6 inches of compost in the bottom. You can do more or less compost and it won’t hurt your plants. Next, fill your container with RAINWATER. I have capitalized “rainwater” as that is the ideal water to add in and stir. If you don’t have rainwater fill your bucket or container first with water from the tap and let it sit for a couple of days stirring occasionally. The reason you do this is that most water has added chlorine in it to kill off any bad bacteria in your drinking water. But your garden loves the bacteria from your compost so we want to give it living organism, not sterilized ones. By letting the water sit and stirring it, it will release the chlorine and allow you to add your compost safely. Once your compost is stirred in you can let it sit (recommended) for a few hours, or if impatient (like me) use it right away. The third product I use throughout the growing season is fish fertilizer. You can buy it as a liquid and just follow the directions on the bottle. A little goes a long way and if you put too much on it your garden can smell a little fishy until the next time you water. These additions are very beneficial to your growing plants and just give them that added boost as the plants mature. I rotate the 3 and may do one every week and a half to two weeks and then the next one and so on. I don’t have any set schedule, but just do it as my time allows. I usually try to put some sort of covering over the garden in the winter to improve the soil and so it’s not exposed to the elements. I’ve experimented with the choices above. The cardboard is my go-to method for covering the beds if nothing else is available. It protects the soil and the worms seem to love it. They come right up to the surface and if you lift up a corner of the cardboard you will see them. Come spring, most of the cardboard has decomposed and what is left just gets thrown in the compost. If you are dealing with small pieces of cardboard or cut open boxes you will need to put a lot of stones or additional dirt on top to hold it down so it doesn’t get blown away. Also, the soil gets quite compacted under the cardboard and needs to be dug and break up the clumps. One year I planted winter rye and there are definitely pros and cons to it. I have written 3 articles on it which you can find below and you can make up your own mind on it. All I will say in addition to those articles is before you plant any cover crop, make sure you do your homework first. One year I used maple leaves to mulch with on a couple of beds as an experiment and I’m so glad I didn’t use it for the rest of the garden. Little maple trees kept popping up all spring and summer over the beds as there were seeds along with the leaves. I also found that they didn’t decompose very well, but just sort of stayed in a mat on the soil. I’m not a big fan of weeding, so crossed this one off the list. This is the easiest thing to do. Just clean up the raised beds and leave them to the elements for the winter. Didn’t add anything to the soil. Any little rocks came to the surface so, in the spring, they either needed to be dug in or raked out as any little seeds will get covered up in the rocks. Needed to add a lot of organic material in the spring such as compost as the rain leach nutrients out of the soil. Easy to use and covers well. Maintains the moisture in the soil and keeps weeds down. There is always some seeds hidden in the straw and green shoots are continually coming up requiring weeding. In most cases, you will actually need to purchase the straw. I found that it didn’t actually break down as much as it formed a mulch so didn’t add any improvements to the soil other than protecting it. Slugs also like to hide under it which is not beneficial to the plants. Sawdust is easy to use and gives great coverage. As it decomposes it adds valuable nutrients to the soil. Keeps plants clean as in the case of strawberries and reduces watering. For any plants that like acidic soil this is a great additive. Can take a few years to break down and add nutrients. While it is breaking down can rob nitrogen from the soil. Forms a crust on top that needs to be raked occasionally so water penetrates to the plants. If you don’t have any readily available, it will need to be purchased. This is something that can be done at any time but is best done in the winter months. In my case, it’s a type of modified Hugelkultur as I made it work in my raised beds. If you don’t have wood available to make it, it might be a little difficult to source some. Check with a local tree service as they might be able to help you. This is my experiment for this year. Here are the results so far. Combining the chicken manure with the shredded leaves seems to break down the leaves faster and both elements greatly improve the soil. Forms a nice mulch over the soil that keeps in moisture and protects the soil. So far, the quails have kept out of the garden as there is no fresh dirt on top for them to have dust baths in. I am just pulling back the top much and planting in the soil below. Easy to do and use. Leaves – if they are shredded they don’t seem to mat or have seeds in them. 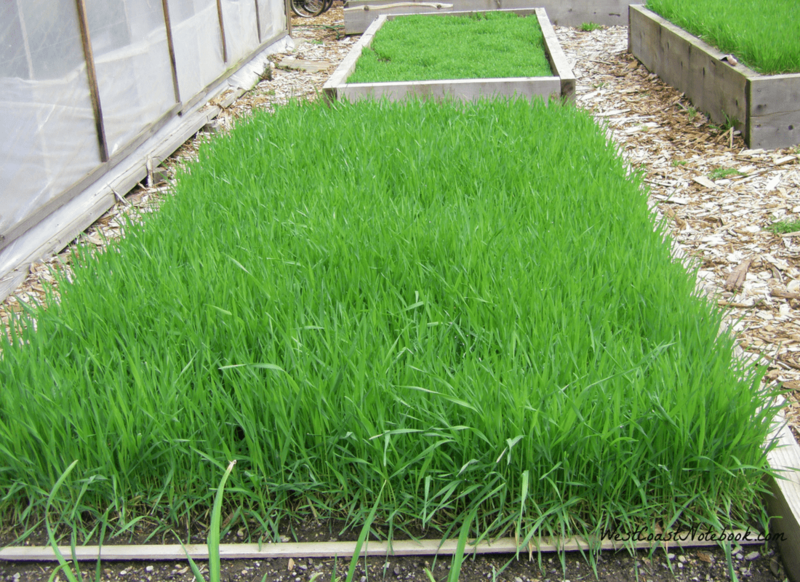 Chicken manure – make sure it is aged and not fresh. If fresh add it to your existing compost pile. You will need some sort of device for shredding the leave. I just raked the leaves in rows on the lawn and ran the lawnmower over them. All the leaves went into the bag on the mower and it was easy to empty it on the garden. It can be hard to find a good source of organic chicken manure that is well aged. If it hasn’t been aged, it can burn your plants. Each of the above systems has benefited the soil even if at times it seems like more work than it’s worth. But… it all about finding the right balance. For you and for the garden. Find what organic material is available in your area and utilize that. 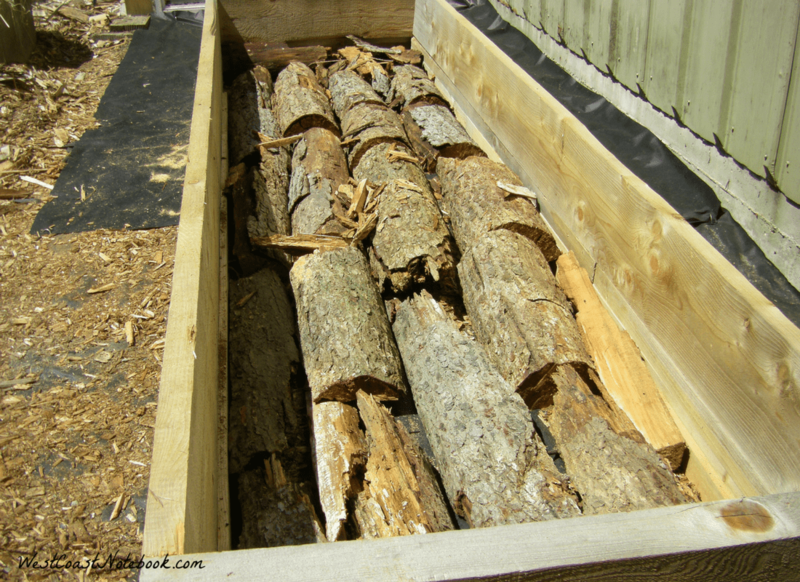 Create a compost or a worm farm. Ask your neighbours to save their leaves in the fall. Experiment and think outside the box 🙂 when it comes to augmenting your soil. At the end of the day, it needs to work for your time, your schedule and the soils nutrient needs. And above all else… enjoy your garden and all that you grow.